The Dwarf Apple (Malus Domestica 'Red Spur Delicious') is famed for its sweet flavour. Although the tree stays small, it produces a medium size fruit with many characteristics of the ‘Delicious’ family. 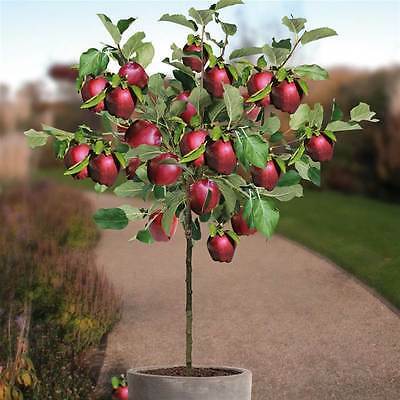 These dwarf apple trees can also be planted in a spacious planter on the patio or decking for an unusual feature. You can harvest the deliciously tasting fruits in October-November. The tree has average pest and disease resistance.